LONDON/NEW YORK (Reuters) - The U.S. Department of Commerce has banned American companies from selling components to Chinese telecom equipment maker ZTE Corp for seven years after breaking an agreement reached after it was caught illegally shipping goods to Iran, U.S. officials said on Monday. The U.S. action, first reported by Reuters https://reut.rs/2H3p0Vl, could be devastating to ZTE since American companies are estimated to provide 25 percent to 30 percent of the components used in ZTE’s equipment, which includes smartphones and gear to build telecommunications networks. 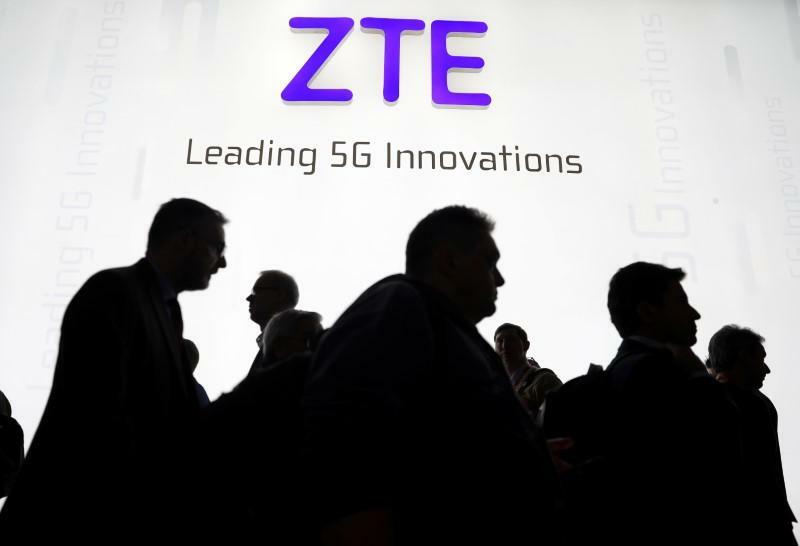 The ban is the result of ZTE's failure to comply with an agreement with the U.S. government after it pleaded guilty last year in federal court in Texas to conspiring to violate U.S. sanctions by illegally shipping U.S. goods and technology to Iran, the Commerce Department said. "If the company is not able to resolve it, they may very well be put out of business by this. Many banks and companies even outside the U.S. are not going to want to deal with them," said Eric Hirschhorn, a former U.S. undersecretary of commerce who was heavily involved in the case. ZTE officials did not respond to requests for comment. The Commerce Department order quoted a ZTE official's letter admitting it "had not executed in full" some disciplinary measures and that there were "inaccuracies" in a 2017 letter. But, the Commerce order said, ZTE "argued that it would have been irrational for ZTE to knowingly or intentionally mislead the U.S. government in light of the seriousness of the suspended sanctions." ZTE "provided information back to us basically admitting that they had made these false statements," said a senior department official. "That was in response to the U.S. asking for the information." "China does not play by our rules, and we must be vigilant against Chinese threats to both our economic security and national security," said Republican Representative Robert Pittenger after the Commerce announcement. Pittenger is sponsoring legislation that would strengthen the U.S. national security review process for foreign investments. Meanwhile, Britain's main cyber security agency said on Monday it has written to organizations in the UK's telecommunications sector warning about using services or equipment from ZTE. Shares of Taiwan's MediaTek Inc, which sells smartphone chips and competes with Qualcomm, were not trading when the announcement was made. The U.S. government’s investigation into sanctions violations by ZTE followed reports by Reuters in 2012 https://reut.rs/2H3p0Vl that the company had signed contracts to ship millions of dollars’ worth of hardware and software from some of the best known U.S. technology companies to Iran’s largest telecoms carrier.